Tips for Staging Your Rental, What is an Eco Stager? 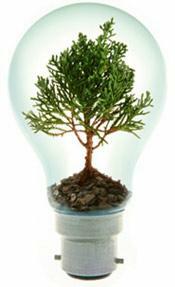 Home · Property Management · Going Green : Tips for Staging Your Rental: What is an Eco-Stager? Tips for Staging Your Rental: What is an Eco-Stager? Stagers by definition can already be considered eco-friendly. After all, we reuse items that the homeowner already has. How can a stager take a bigger leap into being green? The answer is so simple. There are so many sustainable products to choose from now. Stager’s tools of the trade: furniture, bedding, towels, candles, plants, flowers, the list can go on and on. Real plants and potted flowers. Not only to they look so much better than artificial, they also emit the kind of good, prosperity energy as used in Feng Shui. Organic Cotton and Bamboo bedding and towels. Wow, I could not believe how soft these towels felt. Just incredible, and the fact that they are more earth-friendly than conventional towels, well that is just a huge bonus! If laundering your props, hang them outside to dry. Nothing will smell as good and fresh as just hung out on the line linens. Use vinegar in the rinse cycle to soften. Steer clear of the toxic fabric softeners and dryer sheets. Natural beeswax or soy based candles. Natural essential oil scents and cleaner burning. Beeswax candles help clean the air naturally and emit negative ions, which is an extra health boost! Make your own air freshener with distilled water and pure essential oils in a spray bottle. I use lavender to spritz the bedrooms, and my favourite living, kitchen and family room scents are grapefruit with bergamot. Non toxic paints, earth friendly bio-degradable cleaning supplies. Use recycled paper and office supplies. I really could go on and on, but I will save that for another post! There are so many subtle changes that we could make as stagers that will not only be better for our planet, but also for our health, the health of our clients and their children. For more information on how home staging can help you rent your apartment, click here.